I have two kids who are amazing, little adorable cutie pies. I constantly use all the greatest words in the world to describe and speak about them. But, and that is a big BUT, they have the ability to drive me coo-coo! I spend a lot of my time with my children, and eventually the day to day drama and ups and downs can get exhausting. I am sure this is a feeling many mums, if not all, can relate to. At first, we are in denial that little kids can drive us mad. We feel really bad when admitting to ourselves that we are exhausted. Then, we feel as though we are bad parents for even thinking that! 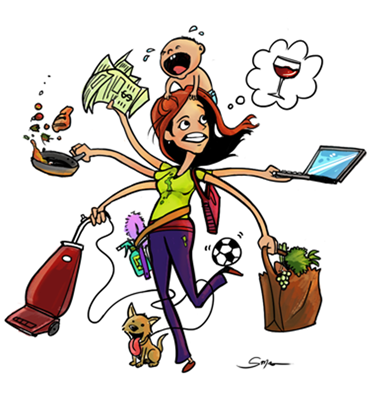 But when we have a grueling schedule of being on mummy duty every single day of the year, it really can get overwhelming and some moments are horrendous! We are only human and I have now accepted this is NORMAL! The day to day chores never end like; constant laundry, sweeping up after every meal, making sure the majority of what they consume is healthy, checking and helping each child to stay happy, healthy and progressing on their own steady level, making sure they get fresh air daily and keeping up to their routine which they love and are used to (this is just 1% of what we do for our children). By 6.30pm they are ready and asking for their bedtime routine. By now, my body is calling out to me to sit down and relax for a few hours. But it’s not really the chores that tires me out; it’s the commotion these two daughters of mine can cook up. Usually, it’s over NOTHING! They get along beautifully, take good care of each other, support and protect each other instinctively and when one is mad or upset they run to the other for comfort and TLC. This always brings so much joy to my heart and gives me a little break while they do activities together and spend time together being all cute. BUT, when they argue, they really go for it! I love fiery and strong willed little girls, but I mean they argue over the amount of water each one has in their bottle. Or they argue over who’s singing songs. If my older daughter (3 years old) sings along to a song, which is her all-time favourite hobby, and my 18 month old joins in, that’s when I hold my breathe because I know how much it frustrates her when we join in and she’s no longer in the spotlight! Then comes the hollering and screaming. From them both! And they shout out to me for help, as if it’s the most serious, traumatic experience of their lives! Another major conflicting event is toilet time. My older daughter always asks for privacy when she uses the toilet and I respect and encourage that. After all, it is her body and she should learn how to speak up for her modesty and privacy. She always asks if we can turn away or close the door. However, the little bugger; her little sister, who loves to follow her around everywhere, maintains that she has to be in the toilet with her. This kicks off a great big hoo-ha, there are muffled arguments, the door is opening and closing, and it’s all very tense for about 5 minutes! They both call out to me, the older one can argue her case very well, but the younger one can do even better although most of it is babbling, hand actions, pouting and sad puppy eyes. Most of the time they cry out to me and they have perfected their screams and ‘fake’ cries that are almost believable. I sometimes start to think oh dear how can I get through this, day in, day out?! Then I stop and think to myself, they are just children! We were once all children and we must relate to this. In their world, this is the most chaotic event of the day! When they can’t decide on their outfit of the day after they have got out and tried on 7 outfits already. When they want to lie down together but not be in each other’s personal space (IMPOSSIBLE!). When they want to cuddle or kiss each other, but one of them isn’t in a cuddly mood. The list is endless! But now so is my patience. I am growing more and more patience with them as I learn how to deal with their disagreements and tantrums. Everyone gets frustrated, and if they are turning to me for support and comfort, I will drop any chore and kiss their forehead or little hand that got stuck somewhere. I will lean down and explain to them the joys of sharing and sisterhood. I will count to 100 in my head as my 3 year old eventually decides on an outfit. After all, she is developing her own taste in clothes and life, and I should encourage that not hinder it. The chores will always be there, so they can wait another 10 minutes while I spend some quality time helping my children flourish in life. If I don’t do this, how can I show them that mama will always be there for you to support, encourage and push you a little further in your relationships and in life? And now I feel bad again for complaining, because as I am writing this, my little one is standing next to her big sister as if they are attached at the hips, and the older one is busy but she bends down, pats her head and kisses her all over her face, and all the while I am melting and smiling to myself. Suddenly, little one picks up a pull along puppy and the older one, flips out and starts pulling the toy away from her, insisting that she had wanted this toy all day long. In fact, it was in front of their faces all day and they just walked past it. I do not like to be a helicopter parent, always running and assisting them, sometimes they should learn to deal with conflict between themselves. So I have learnt to take a back seat and see how things pan out, and the little one just said “Heeeeree!” and shared the puppy. My 3 year old says, “Ok I will teach you how to pull it along”. Pheeeeeew! Mama is one relieved woman right now! Sometimes, the constant commotion and undesired noise, can really make you feel like a slave in your own home as you feel like there is no ‘Me’ time. But when they are asleep and I sit down, and the memories of the day play around in my mind, when I fill my husband, friends and family in on their bond, funny stories and progress, when I comfort and cuddle my babies who pretend they had a nightmare so they can get extra cuddles. This is when the noisy disturbance is worth it, this is when I let everything go and again recount my daily blessings and this is when I sip on a mug of tea and commend myself for another successful day. If they didn’t argue or get sad and angry, how can they learn to deal with their emotions and how can they ever feel the joy of cuddles and comforting words?! It all works out in the end, and it all comes together. Before I know it, this will all be stories and distant memories that I will tell them about. Although my role as their mother and best friend is extremely rewarding, it can still be energy-draining. It saddens me to point out that in Kurdish culture (among many others) I have heard countless times, once you have children your life is over. It’s just your children that matter now and all you do is for them! This mindset and theory gets a big thumbs down from me. I understand that we sacrifice and give so much time and attention to our children throughout life, but we deserve and need to enjoy ourselves and our own lives too! So remember, always, always give yourself a regular break and treat yourself to activities, therapeutic classes and pick up your hobbies again or find new ones! I used to think that a mum who is always there 24/7 is the best mum. But we also need to re-energize and have our own lives too! It doesn’t make us terrible mothers to have a day a week to ourselves. I used to adore arts and crafts during school, so I have picked this up again and regularly attend an amazing arts class now. I catch up with friends over coffee or go on adventures with them, I organise days out and get involved in my community a lot. This is the break I need on a regular basis to stay sane and to remember that I am entitled to enjoy my own life too no matter how many children and responsibilities I have. So remember awesome mums (and dads too), you are not alone, we all need some air and space sometimes, and it is well deserved! In the words of a great man (my father) children are like white pieces of paper and they learn and record behaviours and feelings they receive from their surroundings. They are emotional sponges who soak up their environment and will definitely feel angry or upset if we are showing and feeling those emotions. A happy mummy equals happy children! When you have to be there and face the chaos; sometimes, just block it out and think of happy things in your mind, because before you know it, your child has either solved their own problem or somehow magically turned their tears into laughter. Arguments and rivalry between siblings is completely normal and no matter how often or intensely they argue, they will always be the best of friends. I’m sure they are !